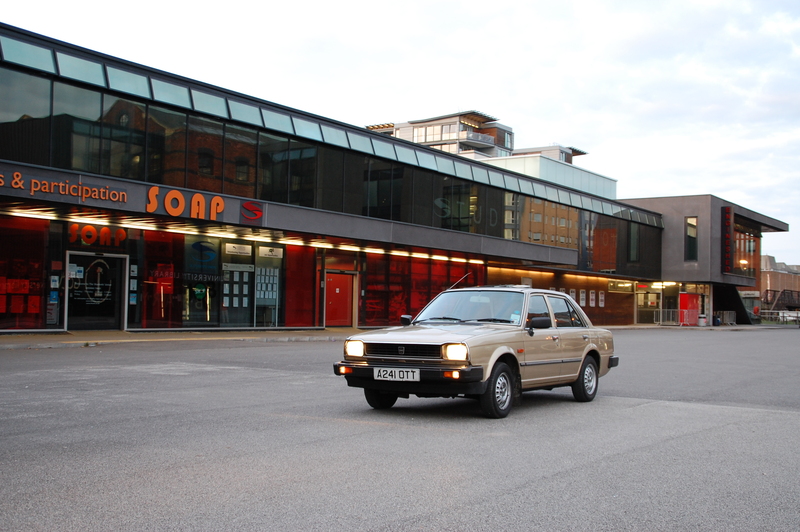 In this second Tomorrow’s Classic feature, John Horton shares his enthusiasm for the Triumph Acclaim, an important, but often forgotten car from the early 1980s. 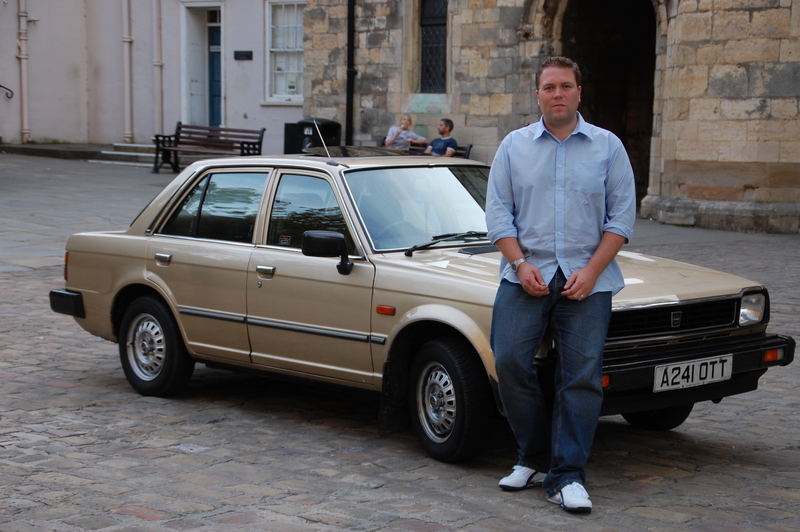 John lives in Lincoln and drives a second generation Renault Laguna as his regular mode of transport. 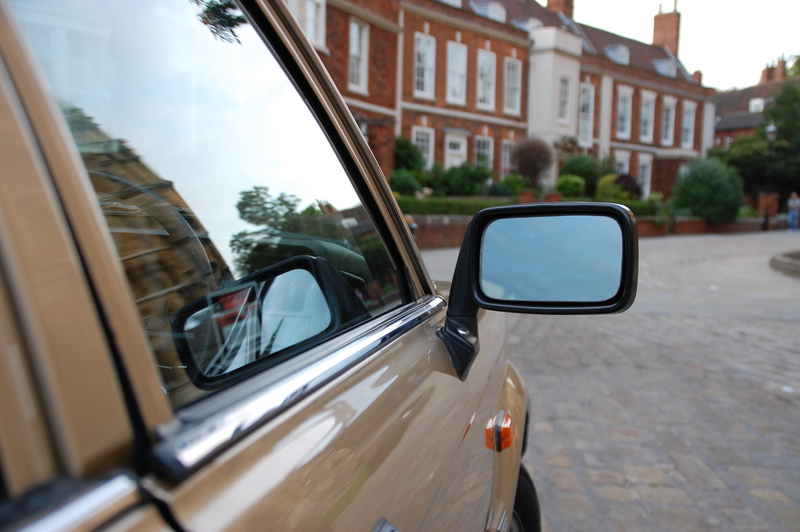 “My route into classic car ownership was not one derived from a burning desire to own a particular model, or even make, of car, but rather more to enjoy the social aspect of life classic motoring can bring. 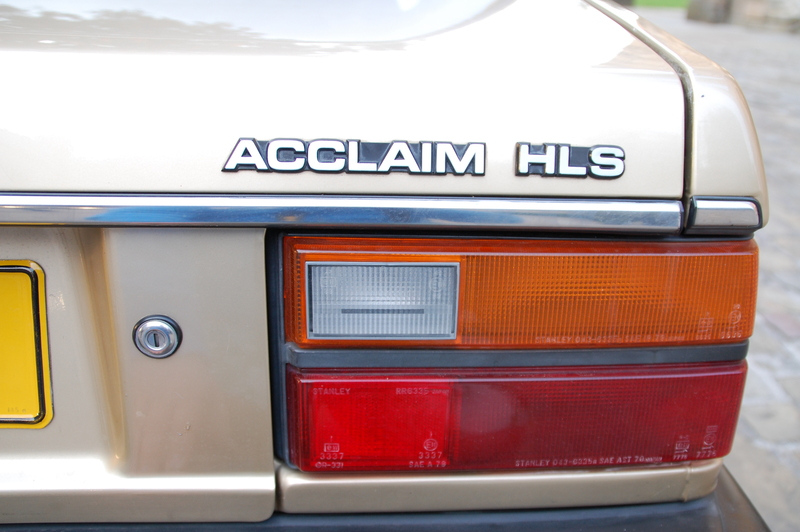 The fact my dad owned an Acclaim when I was a boy is more of a happy coincidence than by design. Four years ago, I decided that buying a useable, modern classic car was something I could afford to set aside some cash to do. Whilst I’d no specific car in mind, I had narrowed the general area of browsing to something from the 70s BL or 80s Austin Rover Group stables. I still think it’s a huge loss that Britain no longer has its own mass producing car manufacturer – sure, BL/ARG produced some woeful products at times, but it and its descendents also produced some fine cars. Anyway, buying something from the myriad of British marques under that corporate umbrella was my way of remembering what’s no longer there. I’d only browsed on eBay for a few days when my attraction was grabbed by a very straight sounding, low mileage Acclaim. The mileage was incredibly low at 44,000 miles, the bodywork looked very presentable, if not quite mint – although the interior looked perfect from the photos – so I placed a bid. A few days later, I was the proud winner of a Cashmere Gold HLS model, with the Sandpiper (read chocolate) Hairline velour interior. For those of you a little hazy on the Acclaim’s role in the history of the British Motor Industry, here’s a quick re-cap: This new Triumph replaced the previous mid-sized Dolomite in the brand’s range and it also became the last model to bear the famous laurel-wreath badge that adorned many a TR model and the flawed but lovely Stag. BL, at the time, didn’t have the financial resources to develop a new model from scratch but needed new metal in the showrooms quick because the upcoming Maestro and Montego were behind schedule. 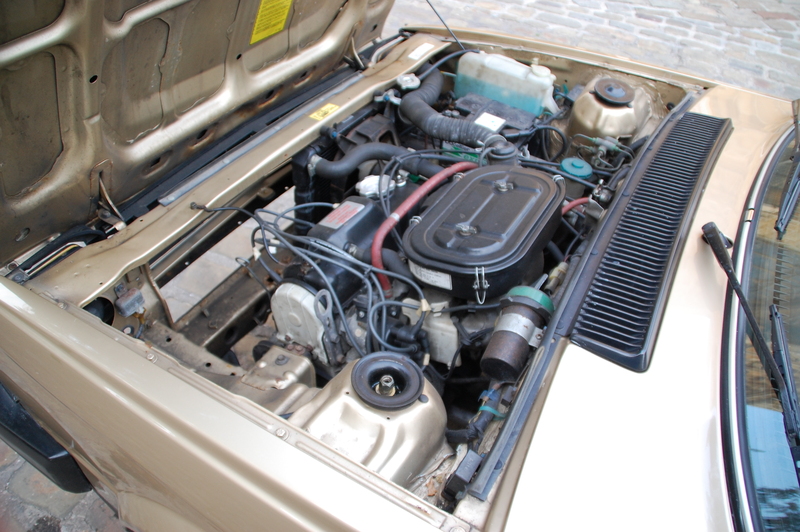 Many companies with new mid-rangers in development were considered including (what was) Chrysler Europe and Renault (just think – the Acclaim could have been a re-badged Renault 9! ), before Honda became the obvious partner. 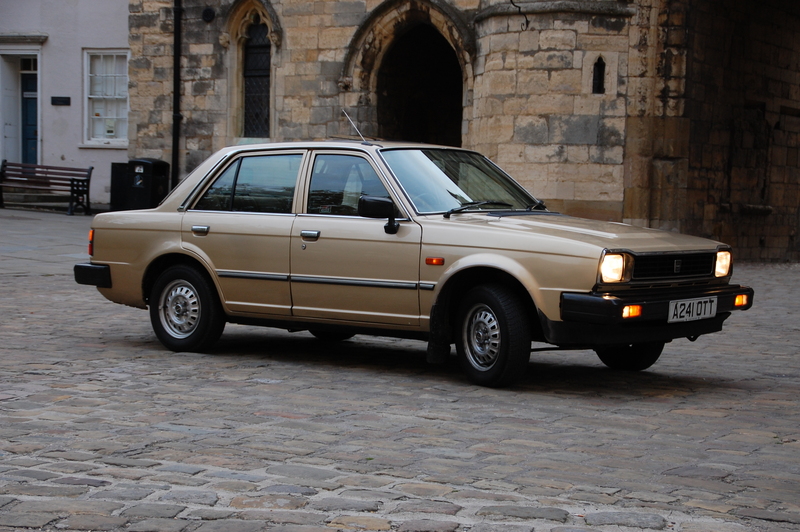 The Japanese firm was in the process of developing a new, larger Civic range of hatchbacks and a booted saloon version, known in many markets as the Ballade. It was the saloon that was chosen to become a transplant model – effectively built in Britain with few changes from the Honda donor models. The interiors were essentially unchanged in design, although Austin Rover’s penchant for colour coding was prevalent and the seats were replaced for ones used in the Ford Cortina – being a little wider for the typical European posterior, compared to the more slender Japanese offerings. 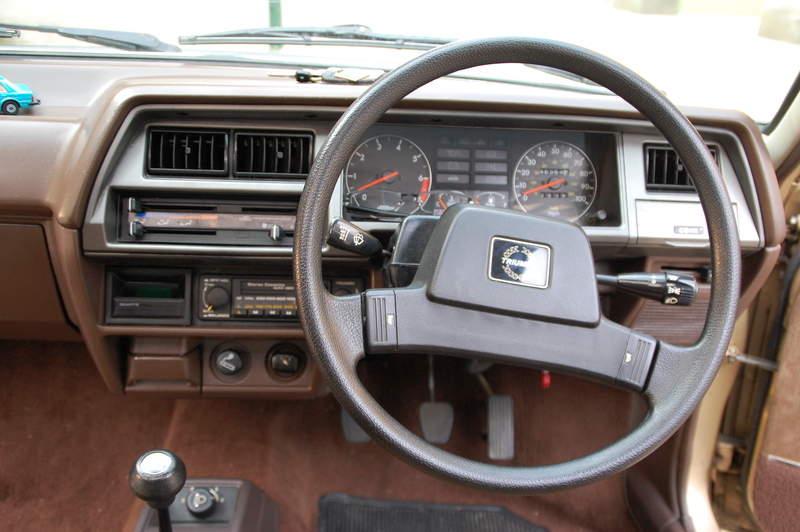 The Acclaim does hold one ‘first’ for a British-built car – it was the first UK-produced car with an injection moulded plastic dashboard. Bodywork is not a strong point for Acclaims. The thinness of the metal panels means the lightest of taps and knocks results in a dent of one proportion or another, and as a result very few have unblemished bodies. It also encouraged tin worm to take hold, meaning few have made it through to old age. Whilst the seats were replaced, bizarrely the badging wasn’t! Although there was no Honda stylised ‘H’ logo on the exterior, the round Triumph design was simply printed on the trapezoidal void where the Japanese’s brand’s mark would have sat. 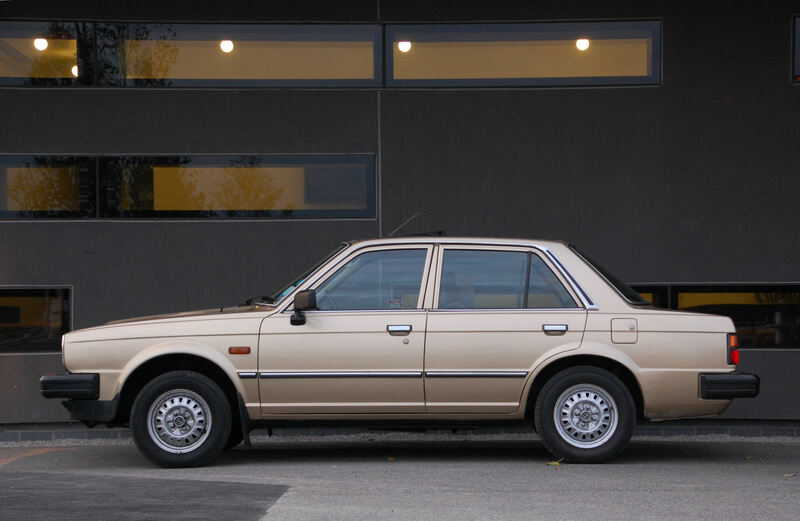 As it was, the Acclaim was only produced for three years, being replaced in the summer of 1984 by the first Rover 200 Series – itself a modified version of the next generation Ballade. This isn't your humdrum High Line model - this is an HLS. Respect is due. Anyway, back to my Acclaim – I went to Birmingham to collect it and hand over my £280. I finally observed first hand the ‘improvements’ the vendor had made. He was a nice lad who knew his cars but for some reason had had plans to turn the Acclaim into some kind of ‘rat-look’ Triumph – the springs had been cut to lower the ride height and the wheels themselves had been painted black. Both of these things I quickly remedied, along with installing a new door mirror on the driver’s side and replacing the body-coloured panel below the grille. The car’s got an agreed insurance valuation of £500 now and on a classic, restricted mileage policy I pay less than £10 per month for insurance. Over the past four years I’ve gently added a further 2000 miles to the odometer, just enjoying the relative scarcity of the model and taking it to shows. Back on May a friend of mine borrowed it to recreate a drive he enjoyed from his childhood – driving from Hull to Wellington Barracks (near Buckingham Palace) but wherever possible using the route of the old Great North Road rather than the modern A1. Needless to say, the Acclaim ran perfectly. Mechanically, this is a strong model – quite probably by virtue of its Honda drivetrain. It’s passed every MOT and never has any advisories pointed out. It helps keep costs down and enjoyment high as I know I can wheel it out of the garage after each winter and it’s ready to go for another six months of enjoyment. The only work really required will be new brakes – these ones are a little juddery under hard braking, a phenomenon not caused by ABS. The driving experience is a surprisingly good one: this was a family car with front wheel drive and all independent suspension – something not commonplace 30 years ago. Handling is competent, in that it doesn’t wallow, pitch or drive with every input and the steering is light in the manner Japanese cars used to be, offering little feedback. The wheel itself has the thin rim, so much so your fingers feel like they could twice overlap it. Performance is surprisingly good – that light body and zippy twin-carb Honda engine give it modern traffic pace although much beyond 70mph and it starts to complain. 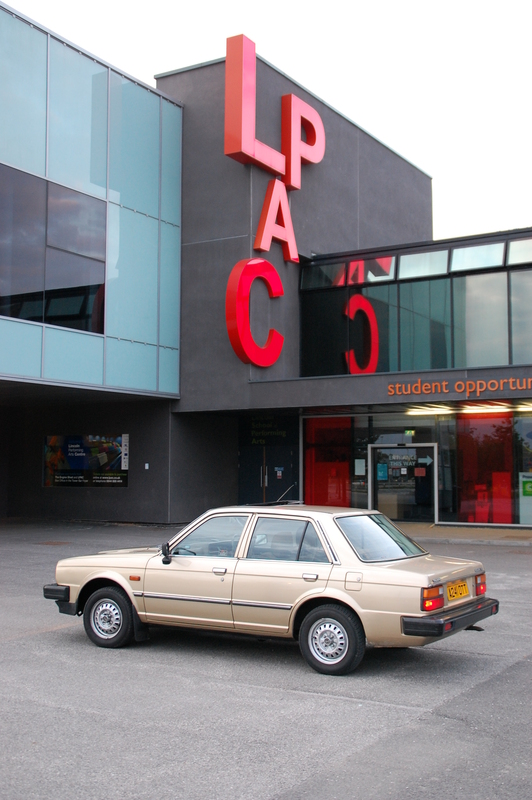 While you’re driving around you’re also aware how much bigger cars are now than when the Acclaim was contemporary. Here’s a family car from the early 80s that seems to be dwarfed by ‘small’ cars of today. Of course, there’s no airbags or safety cell as such – just a monocoque framework with the body panels attached to it. Even so, the interior’s a comfortable place to be, if not the most spacious of cabins. 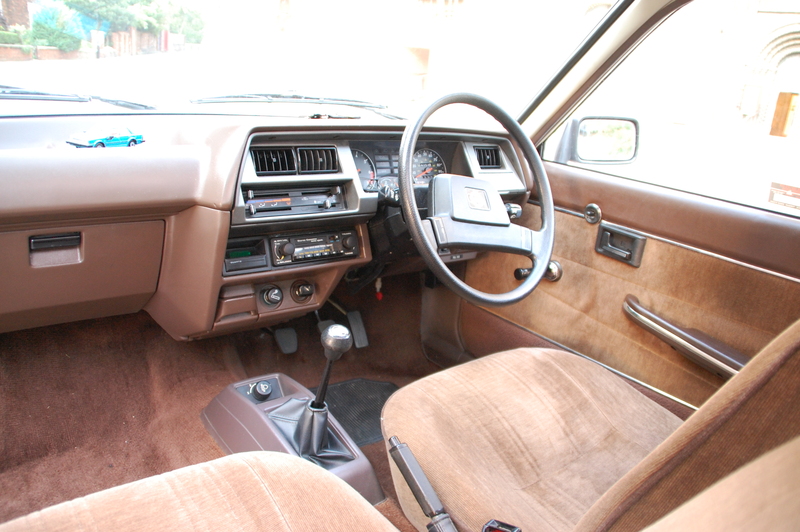 The colour co-ordination is everywhere – deep brown seats, door cards, carpets, seatbelts and dashboard mouldings. It’s not quite the top model, that honour went to the CD version, but it’s reasonably well equipped with digital clock, stereo (original unit) internally adjustable door mirrors (hence why the mounting pillars for them are so huge) and the five-speed gearbox mentioned in the TV advert from the time. Cortina seats?! Blimey – how did THAT come about? Where will the birthday celebrations be taking place, Les?